Three-piece 3.5-inch round pole holds your basketball backboard at a fixed height Comes with ground sleeve for installation and removal. Backboard sold separately. Rim height is adjustable up to 10 feet. 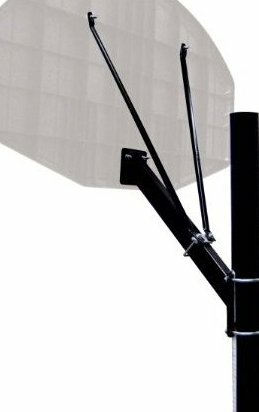 Supports all Huffy Sports and most Spalding residential backboards up to 48 inches.